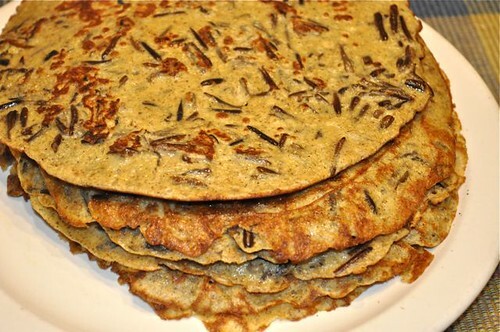 Thanks to your food processor or blender, you can load your next batch of crêpe batter up with a whack of wild rice, upping the protein and fibre factor in a serious way – like 2.5x than without it! 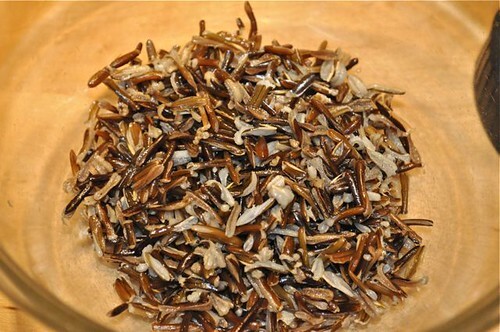 Despite it’s name, wild rice is actually not rice, it’s the seed of marsh grass – and speaking of misleading monikers – buckwheat is not wheat, it’s a grain, peanuts aren’t nuts, they’re legumes & neither are pine nuts, they’re seeds. Similarly, french fries aren’t French, they’re Belgian, and Caesar salad belongs to Caesar Cardini, not Julius Caesar. So in the spirit of “what you see is what you get”, know before going in that that is not always the case – welsh rabbit is cheese & toast, mincemeat is fruit & booze, sweetbreads are glands, rocky mountain oysters hang from bull’s, as in their testicles, bombay duck is fish, black pudding is sausage, gunpowder is tea, a bear claw is pastry, a colonial goose is lamb and of course ladyfingers, have nothing to do with ladies, or their fingers. So there you have it – a few good eats with handles designed to confuse – joining wild rice, which is questionably wild, and definitely not rice! 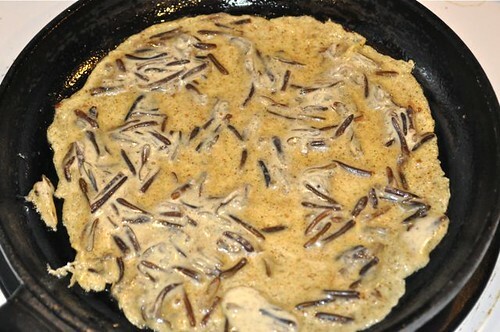 On that note – let’s pulverize a little wild rice and stir more in to make the best darn crakes (crêpes/pancakes) to wrap or roll around just about anything – cause depending on how thick you make them, well you get where I’m going. 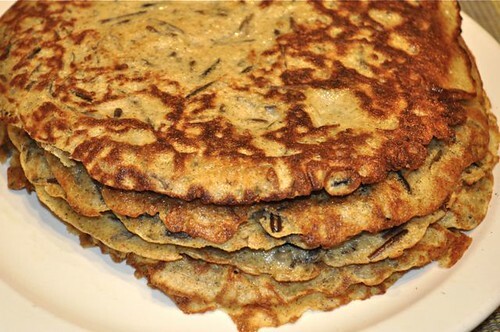 OK, so give a crap, and make some crêpes – your people will love you for it! 1. 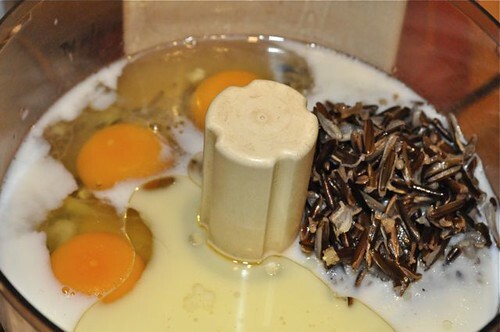 Put eggs, milk, wild rice and olive oil in a food processor or blender. 2. 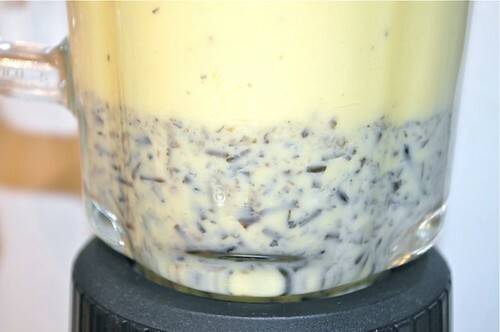 My food processor wasn’t breaking down the rice the way I wanted, so into the blender it goes. 3. 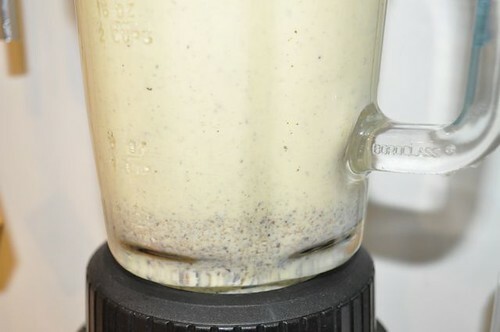 That’s more like it – I’ll use the blender next time. 4. 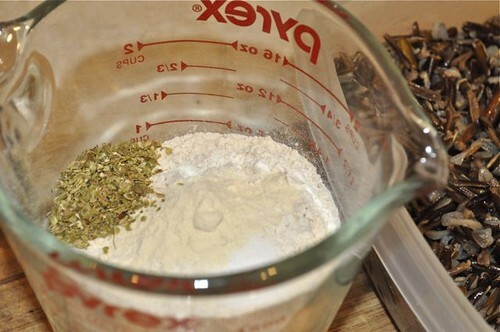 Measure the dry ingredients. 6. 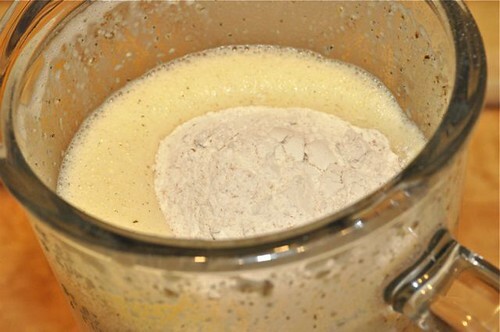 Add the dry to the blender and let ‘er rip for several seconds. 7. 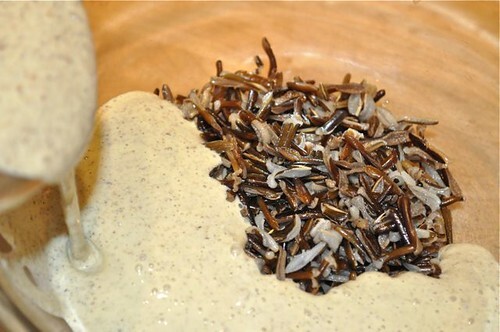 Put the wild rice in a mixing bowl. 8. 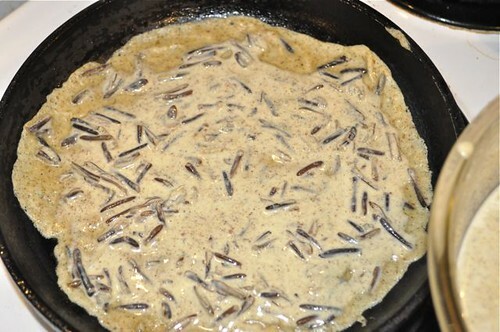 Add the batter to the wild rice. 9. Give the batter a good mix and you’re ready to make crêpes! 10. Heat up a pan and swirl with olive or vegetable oil. 11. 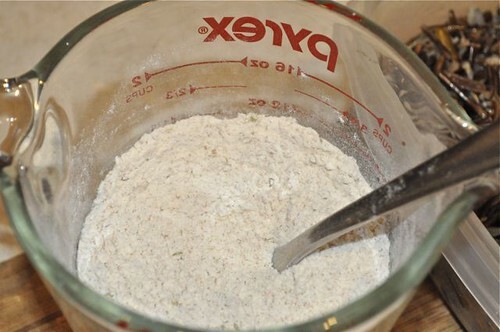 Pour a 1/4+ cup, swirl the pan to completely coat the bottom. Gauge for yourself if you need more or less batter, depending on the size of the pan. You’re after a thin crêpe. 12. Leave it alone until the batter has set up before you flip it. 13. And flip it, allowing it to brown on the other side – this won’t take long. 17. Repeat. Pile ’em up until you’re done. 18. 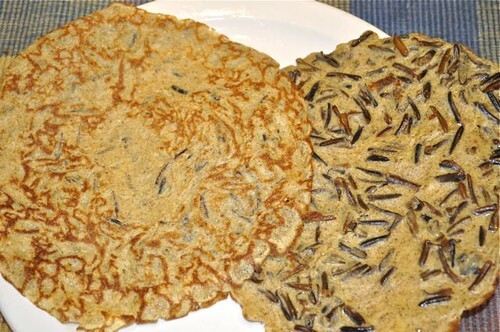 And for a closer look – you can see that they’re about as thin as they can be to hold in all that yummy wild rice! 4. Let the batter rest for 30-60 minutes. 5. 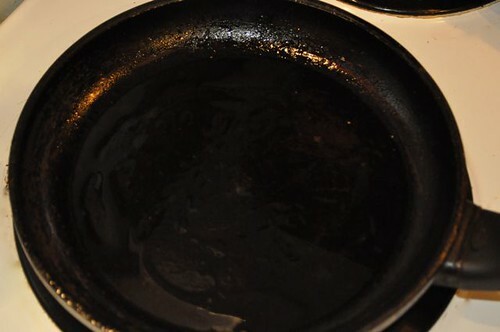 Heat a pan over medium-high heat and lightly grease with butter or vegetable oil. 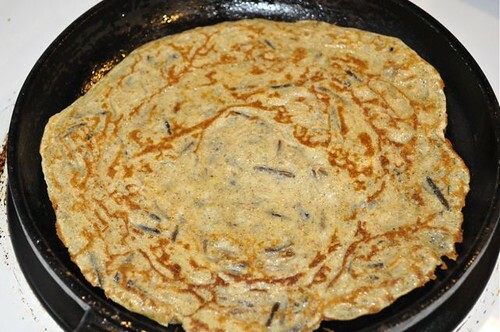 Ladle the crêpe batter into the centre of the pan and swirl it around to spread evenly; move rice around if you need to. 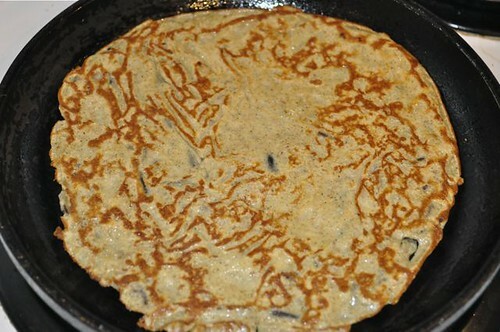 The crêpe should thinly coat the bottom of the pan. 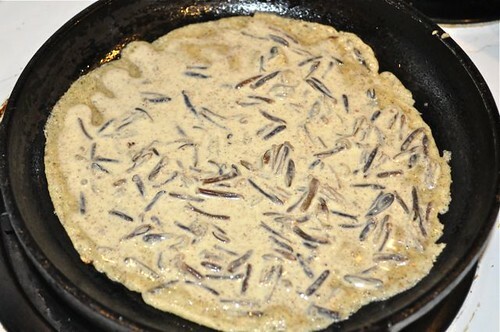 Allow it to set before flipping and browning the other side. 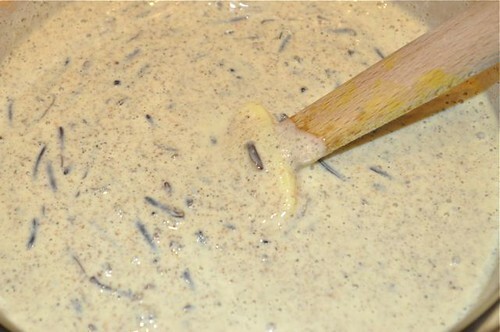 Move to a plate and continue greasing, ladling, swirling and flipping, until you’re out of batter. 6. What now? Fill, fold, wrap or roll around just about anything. Or drizzle with maple syrup and dig in!